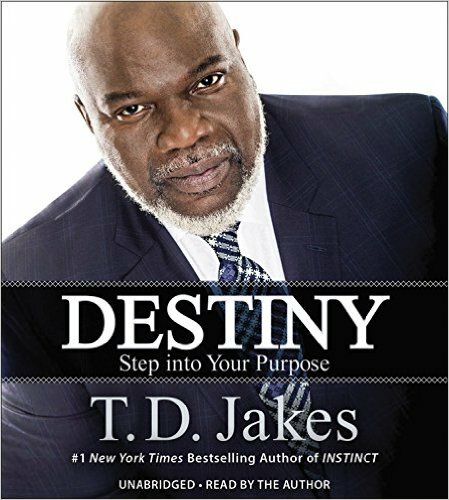 Named “America’s Best Preacher” by TIME magazine, Bishop T.D Jakes is out with this newest book “Destiny: Step Into Your Purpose.” He shares his belief that people are drawn to their destiny in some way, and that his book will help people identify the steps that will lead them to their destiny and how to focus on the plan. Bishop T.D. Jakes says he wants readers to have the courage to fulfill their destiny.In his new book, ‘Destiny,’ Bishop Jakes writes about using your instinct and being positive. He reveals details about his life journey and personal experiences. Bishop Jakes will be signed copies of ‘Destiny’ on Aug. 4 at 7 p.m. at Barnes & Noble in the Bay Plaza Shopping Center at 290 Baychester Ave. in the Bronx.